Friday Night Is Race Night - Registration Starts At 5:30 PM - Races Start at 7:00 PM Sharp - Every Friday - Anyone Can Race, Racers Compete In Age And Skill Appropriate Groups. Trophies Or Rewards For 1st, 2nd and 3rd Place - Win And Collect BMX Canada Points To Advance In The North American Rankings - Someone Will Be The #1 Racer In Manitoba For the First Time Ever - Perhaps It Will Be You! Stop For The Races On Your Way Out To The Lake We Are Right On Highway 1 East - Just Past Deacon's Corner Petrocan Station! Saturdays & Sundays (10:00 AM - 5:00 PM) Are Availble To Book Birthday Parties (2.5 - 3 Hours Long) - The Fastest, Most Affodable Birthday Party In Town! Weekdays 10:00 AM - 5:00 PM, Tuesdays 5:30- Dusk Are Avaiable For Community Groups Or Corporate Outings/Retreats - Book The Whole Facility For As Low As $60 Per Hour. 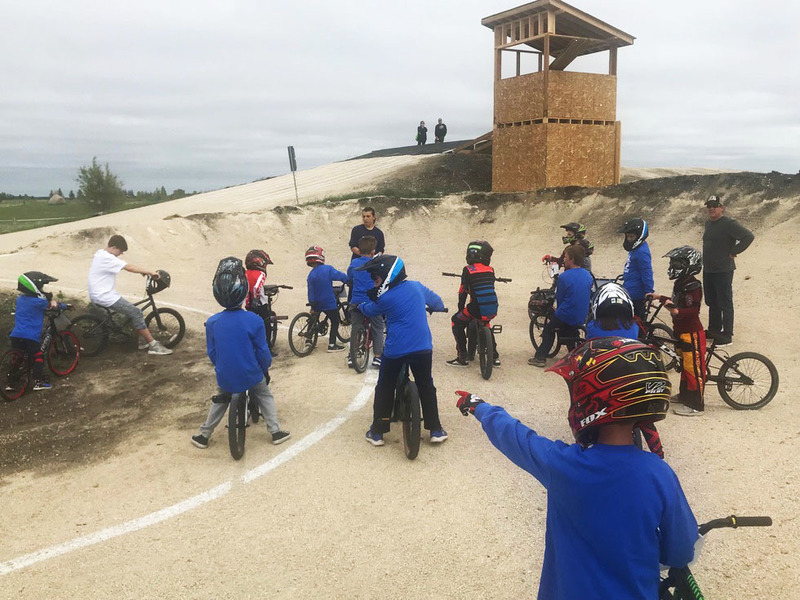 All First Time Riders Are Encouraged To Join Our BMX Racing League (We Are The First Track In Canada To Offer It) To Quickly Learn The Basics Of BMX Racing, Make New Friends, Experience Actual Races & Have Fun (Destination X BMX Racing Leage Signup). Riders Can Choose To Become A VIP For $79.99 And Ride All Year For Just $15 Per Day Or Purchase One Of Our Affordable Membership Programs, Which Includes BMX Canada License, Insurance Coverage, Discounts On Exciting Race Events, Online Tracking Of Points Earned Throughout The Season, Discounts On Aparrel And Safety Gear From Our Pro-Shop, And Bonus Access To Our Next Door Neighbor Fantasy Lake Golf Course! Dedicated Kids Track, With Kid Sized Starting Hill, Jumps, And Berms, Designed To Keep The Little Ones, 3 - 9 Years Old Safely Away From The Older Riders. The Kids Track Is The Perfect ChoiceTo Host Your Birthday Parties!!! 4.5 Meter (15 Foot) High Starting Ramp With 8 Position Pro-Gate Safety Gate.